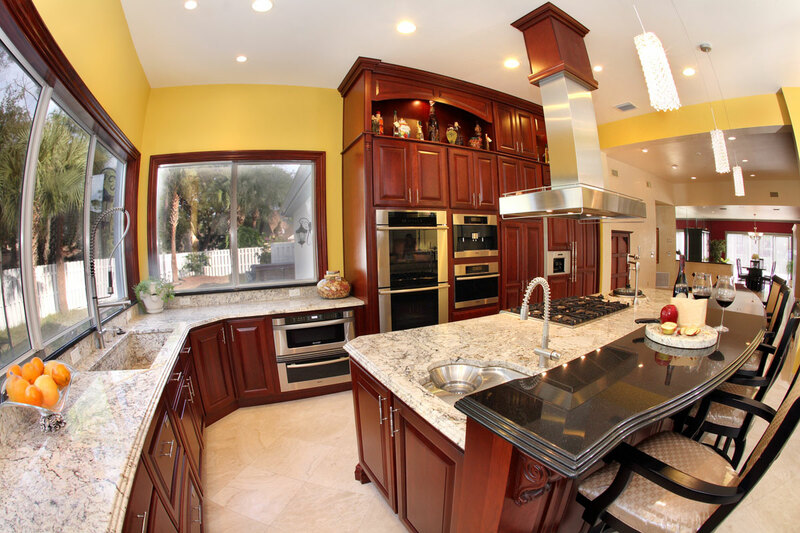 When our customers come into our office looking for new custom countertops, many times they are about to begin a full kitchen remodel or have even begun the remodel. 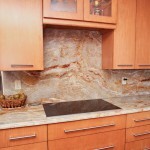 These customers want to make sure that their new countertops will match their floors and cabinetry. So often they bring in samples or pictures of the floor and cabinet materials that they have picked out, and we help them find a material that will match. 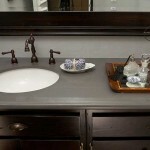 After doing some research on blogs and home designer websites across the web, we have put together a 5 part guide for selecting countertops that match cabinets and floors. When selecting a style for your kitchen, it is important to take into consideration the needs you will have, what your personal design tastes are, and how the kitchen will tie into the rest of your home. 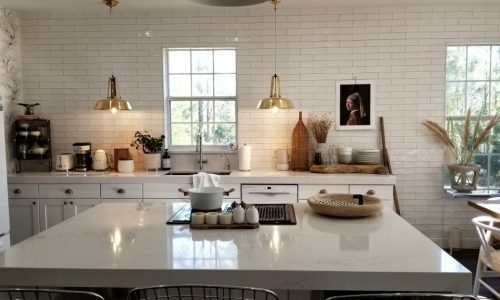 If you are unsure of the many different kinds of kitchen styles, HGTV has put together a quick picture guide of 9 different kitchen styles for you to choose. From here you will begin to select the materials, colors, patterns and appliances that will match your desired style. 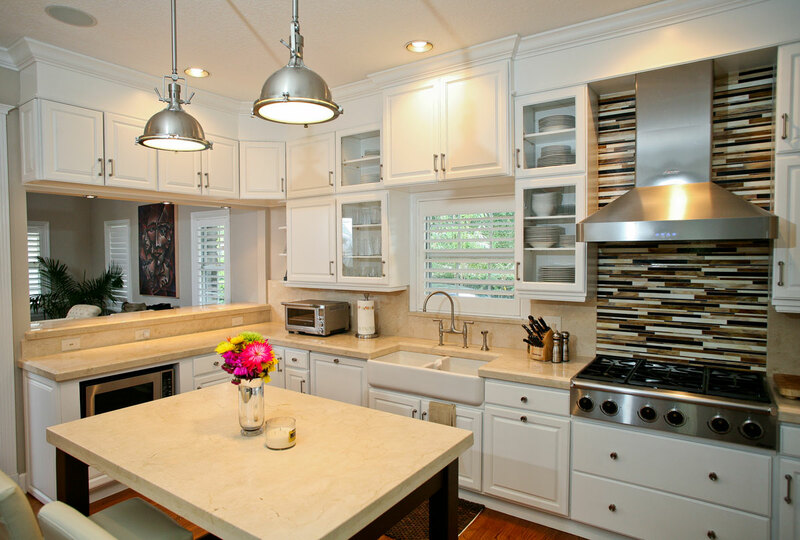 Notice how the tan colored tiles tie in nicely with the creme colored countertops and are accented by the white cabinets for contrast. Jann Seal, of Demand Media, writes that you should select 2-3 dominant colors for your kitchen and then an accent color that will provide a “pop” between the two. If you visit this gallery of 25 Colorful Kitchens provided by HGTV, you can see that the majority of the kitchens predominately follow the three color rule. Such as this: gray cabinets and white/gray countertops with a red accent wall. If your floors contain many different colors, try to find one similar color in the countertop materials or cabinets that you select. The warm brown coloring found in wood flooring pairs well with quartz and granite materials containing shades of beige or brown such as our Brown Fantasy material or Tan Brown Material. Matching the patterns, texture and finish of your materials is just as important as the colors you select for you new kitchen countertops. Busy travertine tile floors might pair well with a calmer gray/white granite or quartz countertops such as our Colonial White Material. If you select a smooth, glossy tile, we would recommend a color / texture matching quartz or solid surface countertop material. 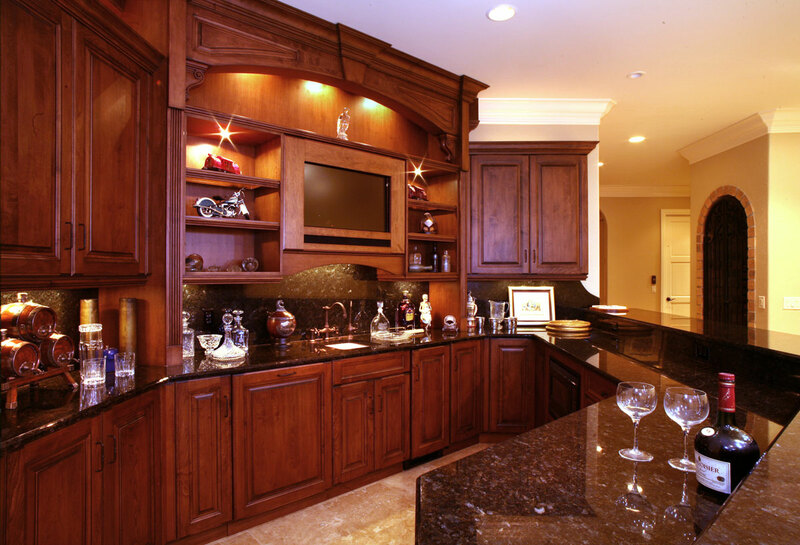 After taking into consideration the different textures and colors that have you have used between the countertops and floors, it will be time to start choosing the right style of cabinets to tie to look together. 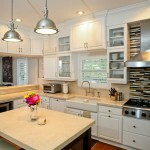 Mary Cockrill of Demand Media also suggests taking into consideration the lifestyle you have when selecting the cabinets in How to Match Kitchen Cabinets & Countertops. 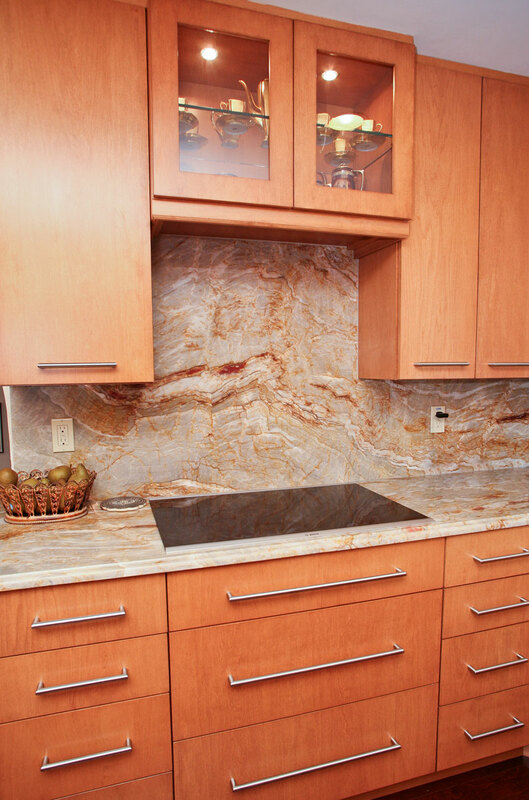 She also suggests in her article to choose the material for the cabinets based on the stone you select because natural stones such as granite will require resealing over the years, while engineered stones like quartz will not. 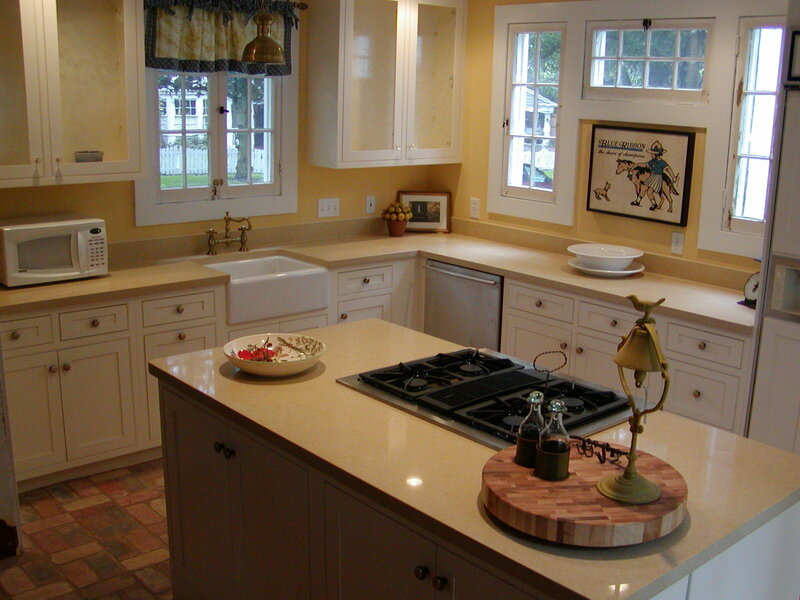 Being visual is not a bad thing when making a sizable investment like a kitchen remodel. Grab sample materials wherever you go and bring them with you to select the right materials for your kitchen. If you are tech / design savvy, there are software programs you can invest into to see how the kitchen will look after each configuration. 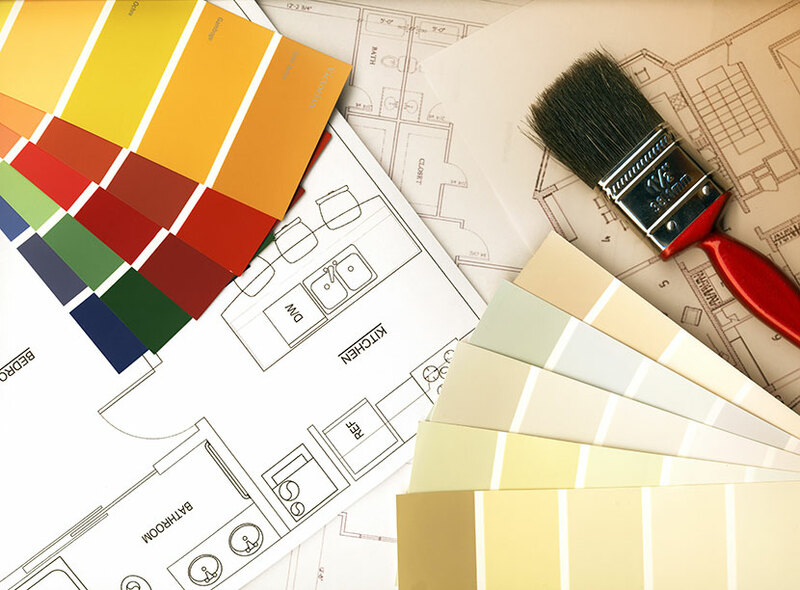 TopTenReviews has put together a guide called Best Tools for Interior Design that will help with selecting which software will best suit your needs. 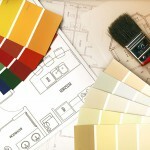 When all else fails, bring your ideas to a contractor, and they will be able to help guide you in the right direction. 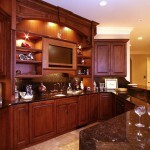 Most Popular Granite Countertop Configurations in Orlando, Florida. 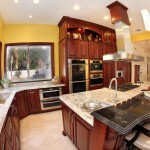 Looking for the most hot granite countertop configurations in Orlando? 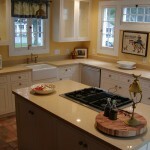 Check out our post on some of our most requested countertop configurations we have installed over the past 15+ years. 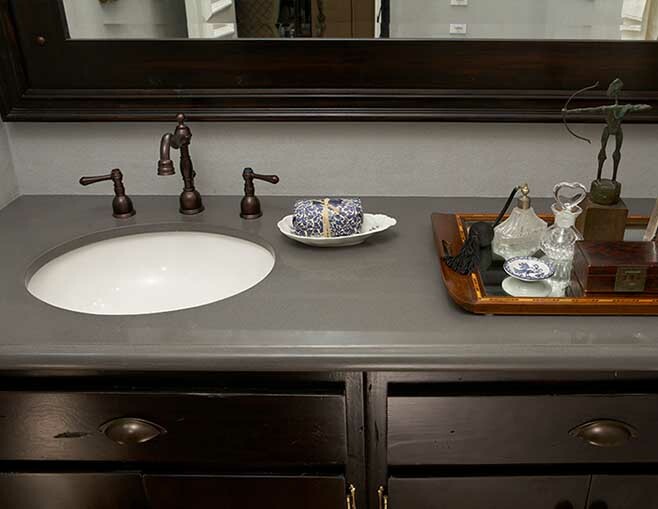 Concrete countertops are a big trend in 2015 however many home owners are unaware that there are better alternatives to concrete such as a special blend of quartz engineered by Ceasarstone.